Yesterday afternoon, I was on the phone with my father-in-law, wishing him a Happy Father's Day, when we hit upon the topic of Elon Musk's recent announcement that he was opening up Tesla's EV patents for use by other manufacturers in good faith. We both agreed that this represented a major turning point in the ongoing development of electric vehicles and sets Tesla up to provide what could become the charging standard for the industry. All of those competing EV standards could start to go the way of the dodo if manufacturers, seeing an opportunity to take advantage of the infrastructure that Tesla has already sunk significant funds into, decide to take Tesla up on its generosity. The possibilities are potentially endless. Imagine new EVs being made to take advantage of Tesla's fast charging Supercharger network as it continues its expansion across the US, Europe, and now China. Manufacturers could start to create adapters designed to allow existing EVs to utilize that same Supercharger network, essentially allowing those EVs or PHEVs to top off in a matter of minutes. 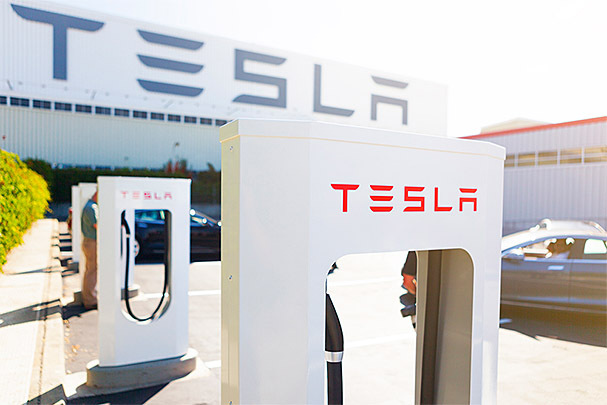 Existing charging points could potentially be upgraded to take full advantage of Tesla's fast-charging technology, quickly expanding the number of available Supercharger stations on a large scale. If Tesla plays its cards right, it just turned itself and its Supercharger network into the absolute center of the EV universe. For consumers, that could mean manufacturers increasing investment in EVs as a viable alternative to the traditional internal combustion engine with new EV cars, motorcycles, and even trucks. Tesla continues to expand its Supercharger network, making "fueling" much less problematic and potentially offering almost as much flexibility as traditional internal combustion engines. Greater investment coupled with greater interest from the public potentially means greater economies of scale, thus leading to more mass market and less expensive EVs tor all of it. It really could become the EV renaissance. Of course, this is all predicated upon other companies jumping on board to make use of Tesla's patents. There is no way to guarantee that and it is entirely up to manufacturers to decide if going down that route fits with their larger strategy. Consumers can help nudge the decision in some way by voting with their wallets, showing major car and motorcycle manufacturers that there is genuine consumer interest in EVs. At the end of the day, if we show a consumer mandate for options, then manufacturers will bring those choices to market.